The Team Skills Rescue Workshop is ideal for industrial and wilderness rescue teams and is designed to review some practices from the Personal Skills Rescue Workshop (PSRW), yet carry on into more demanding rescue practices and team-building skills. This, and the PSRW, are the seminars which fulfill the "90% solution" on most rope rescues within industry and wilderness locations. Lectures on intermediate physics and how it relates to rope rigging are common throughout the duration of this seminar. Emphasis is places on "why" we do something, rather than "how". Students, as a team unit, learn how to build seemingly complex arrangements for reaching, treating and extricating a patient from the vertical high angle environment whether in industrial locations or in the wilderness. All the while, emphasis is placed on building everything from the basic materials most teams will have along: rope, carabiners, pulleys, accessory cord, webbing and know how. Specialized equipment, while certainly handy and interesting, is discouraged in this rigging-intensive course. 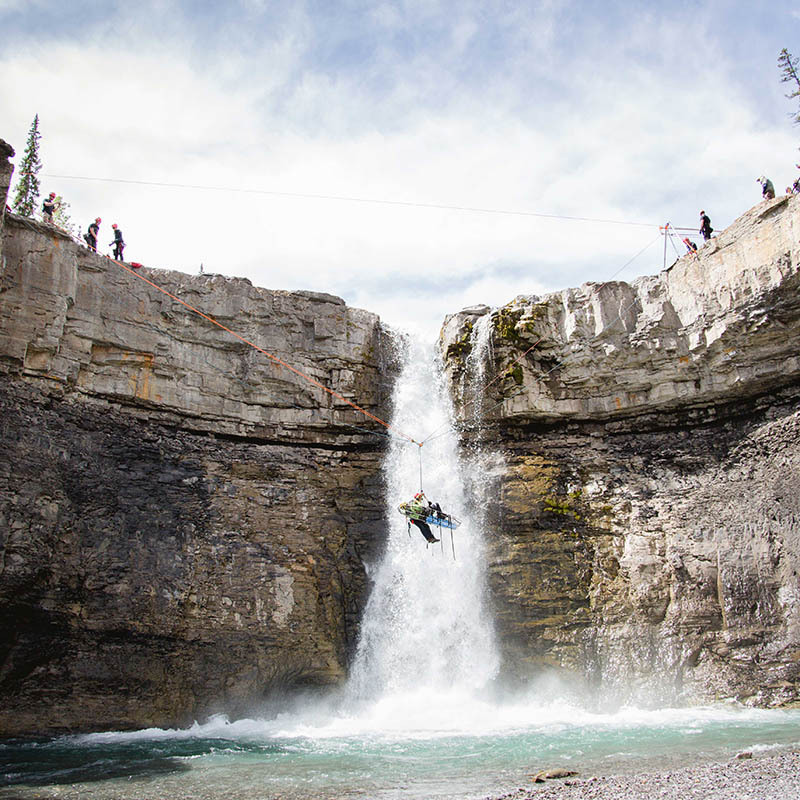 Some rescuers also feel that an intermediate-level program should include highlines. The TSRW includes an extensive lecture and practical section on alternatives to highlines in the form of "offsets". Ropes That Rescue has become known for it's projection of these offsets as an alternative to training intensive highlines in the past 10 years. Offsets employ standard high angle techniques that most rescuers already know and so are more forgiving in the training curve than more elaborate systems. The TSRW is not by any means a beginning rope rescue program. It is a serious venture and complete immersion into rescue systems that can sometimes be overwhelming to some less experienced practitioners.